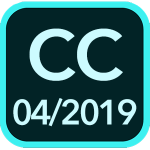 What's New in this Lightroom Release > Lightroom CC Windows/Mac Updates > What’s New in Lightroom CC & Classic CC (April 2019)? Adobe also released an updated Camera Raw version (11.2.1). This solves an issue from the last update when opening photos from Lightroom into Photoshop, if the photos were stored on a NAS. To update, go to Help menu > Updates or click the Update button in the CC app. The update servers take a while to push the updates around the world, to avoid overloading the servers. You can also open the Creative Cloud app, click the … icon (top right) and select Check for Updates to give it a nudge. ??? Do you know if there is an issue with the update? No, update is there fine. I assume you checked the ‘How Do I Update?’ above. 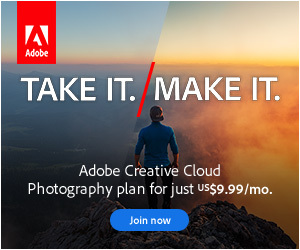 Logging out of the Adobe App and back in can sort sometimes. What version are you currently on, what OS? They don’t publicize minor double dot releases in the same way as normal dot releases. Just wondering if someone can help me… I’ve been using Lightroom 6 for ages and my Mac died on the weekend (I was due for an update anyway) so now I am trying to middle through the online and app version of the new LR and LRCC and I am struggling to export files back to my hardrive. I can’t rename files anymore or put them in subfolders or find where to adjust dpi etc…… all the standard things you would get in the export menu from all other versions of LR….. am I looking in the wrong place??? 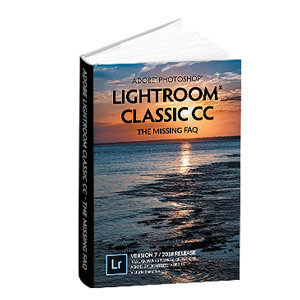 Sounds like you downloaded Lightroom CC, which is the new cloud-storage based one, rather than Lightroom Classic, which is the latest version on from Lightroom 6. Hi, I am in the USA, and I just bought the Canon RP so I am anxious for this update. But as of today, my software is not updated, and the “check for app updates” says there are none. Anxiously awaiting this! Also, which OS are you running? 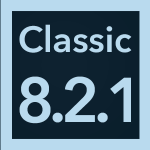 And it is Classic as a version? I wonder if anybody else is have problems after this update? LR CC on both my macs are not online, they are not syncing, and all of my pictures are only accessible when I access via Chrome. Basically, LR is not working. LR CC first crashed on my iMac before the recent update. I was in the middle of an assignment, so I updated LR on the iMac and kept working on my laptop. But even without the update, LR CC was acting strange. E.g. exporting pictures in 28000×280000 format. Somewhat more than I needed and had asked for. I’ve been in contact with 4 different Abobe support people and none of them were able to get LR CC back online. They supposedly escalated the case, but I’m not getting any communication back, so I’m completely in the dark. I’ve made the leap into the cloud workflow and I can’t say I’m happy with that decision at the time being. Yikes! I haven’t heard of any reports. Is your Adobe ID the same as the email address you used here? I can pass it on to someone “in the know”. Same problem. I finally ran the update today (4/20/19) and Lightroom CC won’t load on my Mac. Tell us more Elizabeth? Which version were you on before? And what happens when you try to open CC? Have you tried uninstalling and reinstalling?